The Perils And Pleasures Of Ordering Wine In A Restaurant. Ordering wine in a restaurant can be a trying experience. If restaurants want us to buy their wine, why do they make it so difficult? It often feels like we are buying a car, not a glass of wine. It isn't just the choices, or lack thereof, it is the whole ritual that can turn us off. We have no idea if the wine we are buying is a good value; and we are not sure if the whole "present the bottle, smell the cork" ceremony isn't just a distraction, or a conspiracy to make us feel inadequate. Fear not. Remember that you are the customer, never ever feel inadequate. But beyond that, lets see if we can figure out how it is that restaurants sell wine, and how we may put ourselves in a better buying position. Ordering wine in a restaurant comes down to two choices, by the glass and by the bottle. Buying a bottle of wine, rather than a glass, is usually the better value, but only if you and your guests are all having the same type of wine. 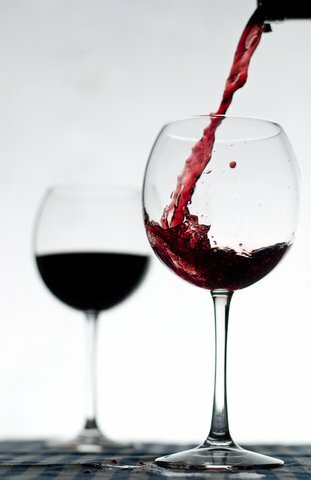 In most restaurants wines by the glass are divided into the House Wine, and Premium Wines offered by the glass. The house wines will usually include one or two types of white wine, and one or two types of red wine, plus a sparkling wine. 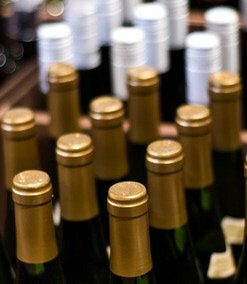 Premium wines by the glass will offer a wider selection, and the quality of the wines will be better. The house wine, will have a lower price than the premium wines, but it will also be of an inferior quality. Rarely will restaurants offer good value in their house wines. If you decide to have the house wine, ask the server the name of the brand. Who knows, you could be pleasantly surprised. By premium wine, the restaurant doesn't actually mean the finest that Bordeaux has to offer, it just means that the wine you are ordering is a cut above their house wine. The selection is wider, and these wines are actually identified for you, to your great relief! If they didn't they would have a hard time getting you to pay the extra bucks. Though the prices will be higher that those of the house wines, it is probably a better choice; particularly if there is only one person drinking a particular type of wine, or you want to experiment a little. Just like with wine by the glass, your choices come down to bottles of wine from the restaurant regular wine list, and bottles of rare and truly special wines. Of course, this is true in the more upscale restaurants only. My advise is that if you want to have a truly memorable bottle of wine, you are better off drinking it at home in the company of someone who can appreciate it. Unless you are interested in impressing your guests, you will pay dearly for that bottle. If you decide to go ahead and order a premium bottle of wine, don't be shy abut asking for help from the sommelier or other knowledgeable person, it will pay off. This knowledgeable person will not only help you with your choice of wine, but will be able to suggest dishes that will pair well with it. This is true of the standard wine, as well as the special one. Ordering wine in a restaurant is also a ritual. Now, about the dreaded ritual of having the bottle presented to us. Sometimes you don't know if you should laugh or cry, it seems to be such a serous matter. Just relax, and hopefully the server will too. There is a reason for the ritual, though not for the seriousness. When the server present the bottle to you, the first thing to do is to make sure that it is in fact what you ordered. You also want to see if the label and bottle are in good condition. The next step is for the server to remove the cork and give it to you. You should look at it and feel the texture to make sure that it is in good shape, and not falling apart. You may, if you wish, sniff it to make sure that it doesn't smell musty. the last step is for the server to pour a small amount into a glass for you to taste. This is so that you can make sure that there is nothing wrong with the wine. If it is fine, then indicate to the waiter that it meets with your approval. If it is not, this is the time to say so, not when you have polished off the whole bottle. Once you give your approval, then the waiter will serve your guests, and then you. I hope that these tips about ordering wine in a restaurant are helpful to you. To recap, remember that when ordering wine in a restaurant the best value for your money is to order by the bottle, rather than by the glass, unless everyone is having a different type of wine. And take the ritual in stride, it isn't done just to be pretentious, there is a good reason for it.